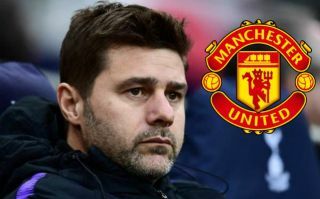 Tottenham manager Mauricio Pochettino has dropped probably his biggest hint yet that he’s eager to make the move to Manchester United. The Argentine has shone in his time in charge of Spurs and has been linked with the likes of United, Chelsea and Real Madrid in recent seasons. While Pochettino has largely remained tight-lipped on his future in the last few months as Jose Mourinho has made way at Old Trafford for caretaker boss Ole Gunnar Solskjaer, he’s now spoken quite openly about his future. Discussing his commitment to Tottenham, Pochettino cast doubt over a long-term stay in north London as he pointed to his old rival Arsene Wenger at Arsenal. The Frenchman remained with the Gunners for 22 years and is undoubtedly a club legend, though Pochettino is as well aware as anyone that he tainted his legacy a little by staying too long. The 46-year-old now says he wants to talk with Wenger to ask if he regrets staying so long, hinting it might not be for him. Mauricio Pochettino drops Manchester United hint? ‘I have massive, huge respect for Arsene Wenger because when you talk about 22 years in charge of a club like Arsenal and all that happened in that period, you need to be so good — not only a fantastic coach but a great human being to display the values you have,’ Pochettino is quoted by the Metro. ‘For me, it’s an amazing recognition about his work. Only I hope, if I have one day the opportunity to talk with him, to ask, “Was it worth it to do?” I don’t know what he would say. ‘I hope, or I wish, maybe to be here 20 years and decide to leave or to finish my career here. With United leading the chase for Pochettino to come in as the next permanent successor to Mourinho, this will only sound like good news from a Red Devils point of view. That said, Solskjaer has impressed hugely in his brief time in charge of the side, with the Daily Mirror claiming the club’s players now want the Norwegian to stay on full time.